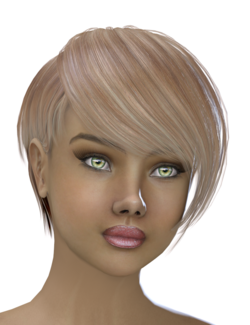 Zephyrus Hair is a prop short hairdo, created by 3Dream and Mairy. It is not free; one can purchase a copy from Renderosity. The download includes a hat too. The hair has morphs that allow it to become a bob cut, a pixie cut, or a bowl cut.